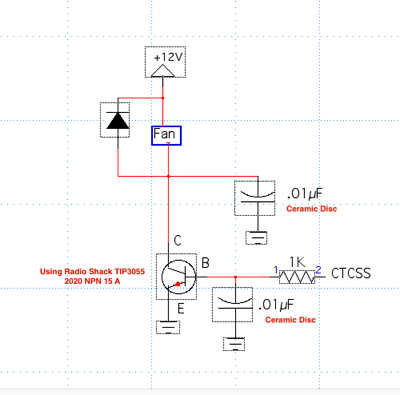 Specification for a GE Mastr II receiver is .5 micro volts for 20 db quieting. 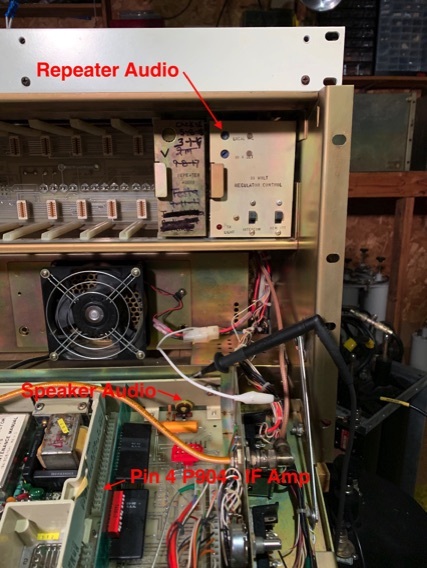 For approximate check, put an AC volt meter on the speaker with squelch open. For example, if voltage is 1.2 volts and you supply .4 mv on receive frequency to the receiver in order to get the voltage down to .12 (a factor of ten) that means your receiver requires .4 volts for 20 db quieting. 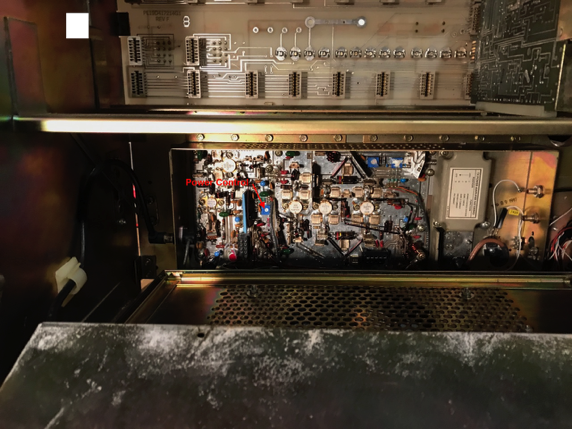 Adding a preamp with ban pass cavity in front will give even better results. I always get better results than the specifications. 1. Put - lead to emitter and + lead to base; it should show a reading. Reverse leads, and it should show open. 2. Put - lead to collector and + lead to base; it should read mega ohms. Reverse leads, and it shoud read open. 3. Emitter and collector should be open either way. PNP conducts with leads switched. When PA is active, base has 5 .2 volts. 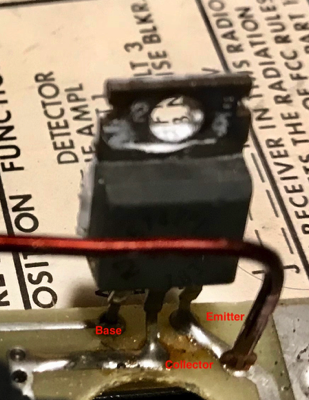 I use another identical transistor to turn the fan on with the 5 volts on the base of the PA transistor. Notes on Remote Base on 224.48 Repeaters. I use a TM701, the radios require a reset (Turn on with Mr button pressed) Step must set to 5 KHz after each reset. Both repeaters are using speaker audio and masurements a made by ear with 1000 Hz on frequency tone. I inject signal and use Pin 4 of P904 and DVOM on DC mV to tune. You have to really turn the signal up to use the GE Meter.